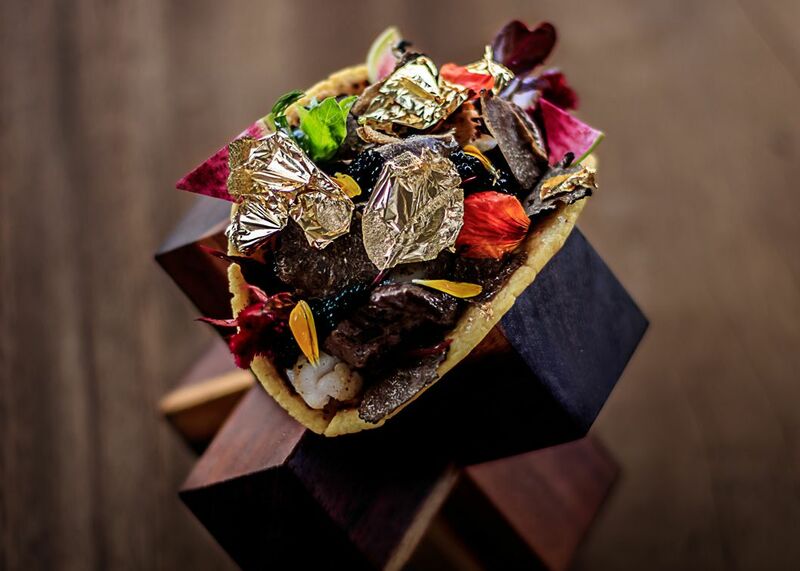 An executive chef in Baja, Calif, has created a $25,000 taco. 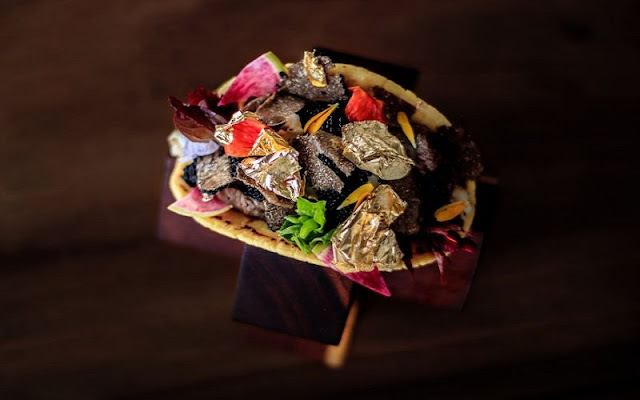 Chef Juan Licerio Alcala of the Grand Velas Los Cabos Resort speckles a corn tortilla with edible 24-karat gold flakes and stuffs it with Kobe beef, langoustines, Almas Beluga caviar, black truffle Brie cheese, and salsa made from other rare ingredients. 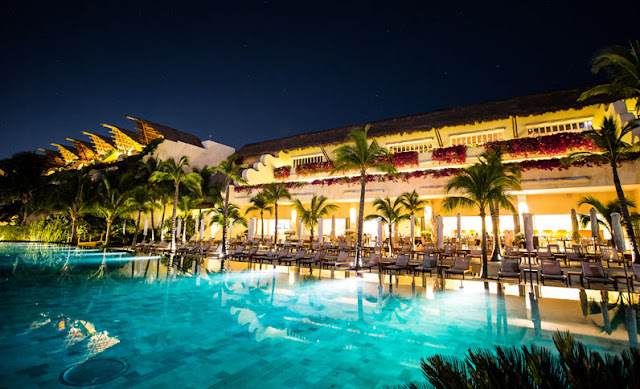 Alcala admits customers are skeptical. 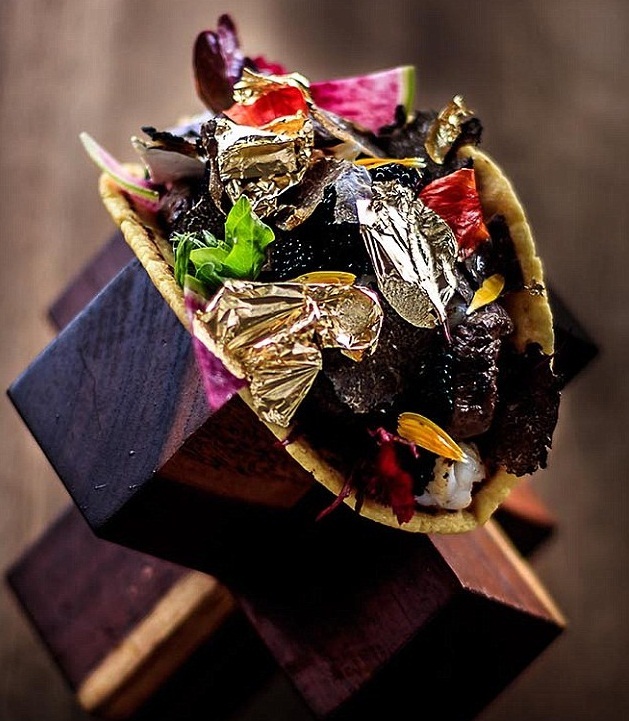 “Then I explain the delicacy, the technique, and the harmony that they will lift from the plate,” he tells AFP.com, “and that it’s worth it.” So far, he has had no takers.